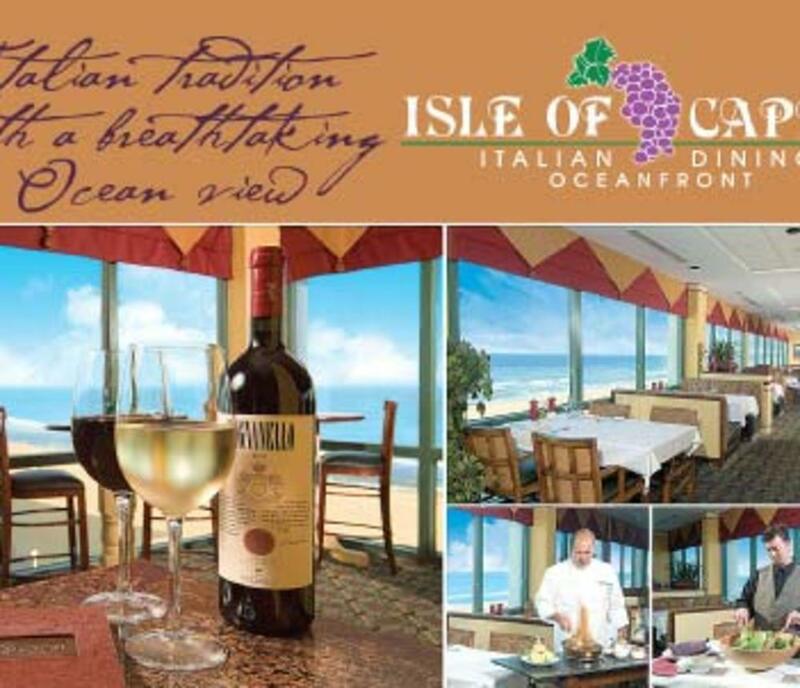 Magnificent Italian Cuisine and a Panoramic Sixth Story View of our long sandy beach make The Isle of Capri your Best Choice for Oceanfront Dining. 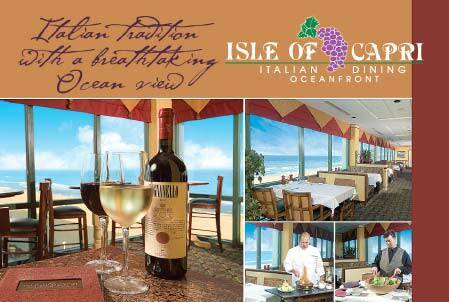 The Isle of Capri is almost as famous for its History as it is for its Mouthwatering Italian Cuisine. Well-schooled in his mother's Delicious Italian Cooking, Pasqual Arcesee continues the Family Tradition as Chef. He is no stranger to the business, having worked in his family's restaurant since childhood. Today, he runs the restaurant that his father began, but in a new location. It's located at the Holiday Inn SunSpree Resort, where you can still enjoy many of the Old Family Recipes. Only now, these Traditional Italian Speciaties come with a Breathtaking Sixth-Story View of the Ocean.Reservations are suggested.